The UK leads the planned projects count in the North Sea to 2025, according to a new report from data and analytics company GlobalData. A total of 46 crude and natural gas projects are expected to start operations in four countries in the North Sea between 2018 and 2025, according to the report. “The key projects in the North Sea are expected to contribute about 948.5 thousand barrels of oil per day (mbd) of global crude production and about 1,394 million cubic feet per day (mmcfd) of global gas production in 2025,” said GlobalData. GlobalData analyst Joseph Gatdula said: “Our research indicates that among countries in the North Sea region, the UK leads with 10 planned projects, with Norway and the Netherlands following with five and one, respectively. “The UK also leads in terms of announced projects with 22, followed by Norway and Denmark with seven and one, respectively. “Among North Sea operators, Statoil Petroleum AS and Statoil UK Ltd lead with the highest operatorship with two planned projects each, of which two are crude and two are natural gas projects. 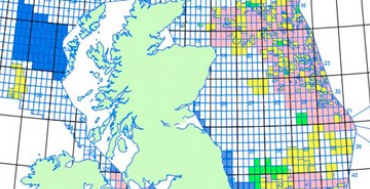 “In terms of announced projects, Independent Oil and Gas Ltd (IOG) has interest in four early-stage projects, followed by Statoil ASA, Statoil UK Ltd, Aker BP ASA, and Parkmead with two projects each. “Proposed capital expenditure (capex) of US$21.7bn is expected to be spent between 2018 and 2025 to bring the planned projects online in the North Sea, with US$15.2bn expected to be spent on key announced projects. “Among countries, Norway, UK, and the Netherlands are expected to be the highest capex spenders on key planned projects with approximately US$12.1bn, US$7.9bn, and US$0.4bn, respectively, between 2018 and 2025. “The UK leads with capex of US$8.9bn followed by Norway with US$6.8bn in the early-stage projects. “In terms of capex, Statoil ASA, Lundin Petroleum AB, and A.P. Moller – Maersk AS have the highest spending on planned projects with $6.7bn, $2.2bn, and $2bn, respectively.